I haven't been able to catch any watch parties live, but I've been reading back some of the threads here. And I discovered some great timestamps! We have another subform devoted to timestamps here. It occured to me that some of you great timestamp-makers might want to copy over your timestamps there. The structure of the timestamps forum is pretty self-explanatory; there is a thread already for most videos since April 2016, and not necessarily a thread for videos before then. If a thread has been started, you can simply reply to it to add timestamps. If you can't find the video, feel free to start a new thread for it in the appropriate section. And if you have any questions or issues, of course just ask me or any other mod! The forum format is not for everyone, unfortunately. We can keep trying to involve the phandom, while making this mostly a fun activity for us on IDB. If we want to really expand to the rest of the phandom, we could try to host a watch party with rabb.it and see how many people actually participate. Maybe for our pinof marathon? to prepare for the pinof10 marathon, shall we brainstorm some ideas? also, since its more of a "marathon", we have a lot more videos to watch so should we consider chopping it up and put more days to do this? or are we all just doing it all in one day? watching it all together ala rabb.it style (but with a possibly better option?????? ?idk man) sounds great for this, since its a marathon after all. i think someone had mentioned how long it takes to watch the entire pinof1 - pino9, but we also have to take into consideration pee/food breaks and people pausing to type up their thoughts can also add to the time. i think someone had mentioned how long it takes to watch the entire pinof1 - pino9, but we also have to take into consideration pee/food breaks and people pausing to type up their thoughts can also add to the time. A full pinof 1-9 marathon with no breaks is less than 1hr. The early ones are very short! However I can see the merit in taking them separately to give people a chance to write their comments on each one separately? Hmm, I think chopping it up would be better for anyone who wants to type up their thoughts here since there are a lot of videos to comment on. Maybe we could watch the first 5 on one day (they're all under 5 minutes) and leave the other 4 for the next one. yeah, just like @glitterintheair suggested as well, we can possibly do a two-day thing. would saturday + sunday work perhaps? we could even put them into playlists beforehand since theres more than two videos, to save us a couple steps. Trending is so damn hard, really. If we want to make it happen we need to start real soon, and more people need to get involved because I'm still traumatized from begging people to rt/rb the post and I'm sure you are too. If more people would be willing to try and spread the word (you are all super helpful with reblogs and retweets, what I'm saying is that we need to actively nag people to rt and rb) then we can give it a shot. For reference, our social media currently only has 82 twitter followers and like 60 on tumblr, so without help from 'big' blogs we can't reach far. When you mention a big project, do you mean something done under the phandomwatch name? How many people here are up for participating in that? - Marathon BUT... I think we can pull off a whole marathon (idk about others but I am sometimes sat motionless at the computer for many hours so I don't need breaks), but to avoid a messy discussion, we can agree to only compare two sets of pinofs: for example 1 vs 9 and maybe 2 vs 6 or so? Would love to hear your thoughts here, once more people chime in I will make a poll. discussion-wise, like you said, were going from dissecting two videos to like 9~10...its going to be a lot. focusing on 1 or 2 videos could help but realistically, people would still wanna talk about the other videos regardless....idk man. i mean, i think its just how we do it here in idb. ive gotten so used to timestamping and trying to create a long post. its just the nature of forums i guess. as for the "special" part....yeah, no, youre right. trending a thing is hard work. ill take a break from that for now rting or rebloging our posts is enough for me. im still recovering from last time lmao...tho i still want to make pinof season at least a tad bit special. making a phandom project might be a bit much, eh? in retrospect, even tho we have a month, its still not a lot of time to gather people i suppose. unless its something relatively of a smaller scale. Not adding much to the discussion here but I feel like pinof is more likely to come after than before. Phil mentioned it could even be early Dec. I'm leaning mostly towards this tbh. It's the marathon part that I like about pinof season, and having people to discuss it with at the same time would be really fun. So far we haven't been that many people participating and even if we gathered a few more I think it would be doable. Sorry for not checking in earlier, I've been a sleep-deprived, anxious mess this weekend and I'm just now recovering to be honest. Let's stay active here, everyone! I promise I will try to keep my anxiety at bay haha. Quoting myself because I still want to know! 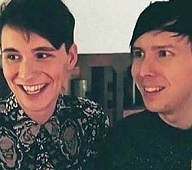 I feel like it might be fun to use a platform with chat just this once for our pinof marathon, and hopefully most of us will still come here to discuss afterwards. Any input is super appreciated! Idea: how about we test rabb.it on a quick IDB only watch fest this or next weekend just to see if it works at all?? I'm also leaning towards this. I'm going to make a poll and post it in the next post so it doesn't get buried here. Yeah, I feel like it's hard to compare all 9 to each other, but we could post a set of questions comparing some specific ones way ahead of time, so that people know what to focus on? What do you think? I'm totally on board with us trying to get something extra. A video is possible if enough people want to participate. 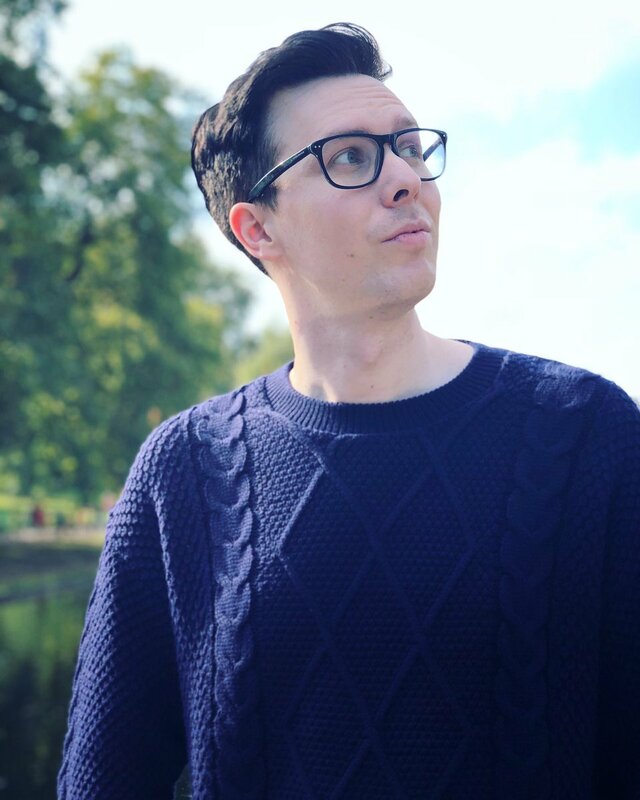 I'm afraid that like for the phanniversary, we may be upstaged by bigger projects that will be trending their own hashtag (I think it was international phannie day as opposed to our attempt at thank you dan and phil). Not trying to be negative here, just weighing pros and cons. How about we just try to do something as IDB and possibly involve some other people as well. We could even just create a video of funny/fond posts about them and post it on IDB channel or something like that? Or write little notes and take pictures of that for a video? Not many people like to show their face, but just a note should work? We've never had a rule against double posting, and I can't see us ever having one. There's generally no issue with double posts, especially when there's a large gap between posts or the edit window was missed, so no need to worry about it. Last edited by lefthandedism on Thu Nov 08, 2018 6:29 am, edited 1 time in total. re:watch&chat i totally dont mind trying out rabb.it but i tried searching for other sites like it. i think one caveat with rabb.it too is that you need to sign in with it (yeah, i usually just sign in using the google overlords but ya kno, thats one extra step) and i thought some people might not have an account already might like to remain more anonymous. so for that i liked, watch2gether and togethertube . while i DID try testing them just by myself so they didnt really lag, idk how theyll be with a group of people. if you guys want, we can try testing rabb.it and its other variants this weekend? i also think itll be fine eitherway, whether it works out or not. we always have the forums to fall back on. re:phandomproject yeah, if its just a small scale idb thing then it might be workable. i was also thinking if theres other mediums we can do this one, but its also neat if we could use the idb youtube in some way. i know theres a pinof-related project going on right now (i think its pinof animate?) but idk if theres any other ongoing rn. heck, i might just toss the "project" idea out for now and opt for a more chill vibe. idea #2 - we have a LOT of good writers in here so i wonder if itll be cool if we could do a continue the story...forum game? back in my (i regret saying this but its true) roleplaying days...cough...i used to join these games or play this with friends. using the theme as pinof, someone can start a sentence or a paragraph (perhaps of dan and phil setting up the room for filming or something) then end on a hook. another person can continue it, then another, and another.....until we reach, the end i guess. maybe lets say, we can start it after our pinof marathon and close the thread when pinof 10 comes out? the con for this is that, its a total wildcard. i dont know what and how people will drive this game, in the first place is it even something people in 2018 would wanna do? idea #3 - if we end up doing the chat thing, then thatll just be the "special" thing. i find that the more i overthink about this, the more it feel over-complicated, when its not. and thats why you guys are here to help suggest ideas and bounce off each other on whether a thing works or not. @ame I've also been thinking of something like your Continue the story idea! I think it sounds like a fun thing to do while we wait for pinof10. We could gather participants in a list, you get assigned a day from say 19 nov, and everyone could write 100 words each until pinof10 drops. We could either do it here in a thread and you just quote the previous posts to continue, or we could set up a google docs. I think it would be fun no matter if it's 4 or 14 people participating. @ame thank you for the suggestions about websites to use! It's already Friday so it might be difficult to set up a watch fest, but should we try? Is anyone else on board? If yes then I'll just take the liberty of picking something quick and not overly exciting and let's test some websites. Also if any of you (like 3-4 people) would be available to just meet up and try all three that would be awesome, not as a watch fest but just testing? If we make a video I can probably edit it, but I'm a rookie so maybe there are better options. Gosh I love this idea so much @ame! I think we could totally do that. It might be a good idea to start even a few days before the watch fest. I feel like this idea could be very fun for us to do on IDB and non-writers can easily participate too. Then we can post it on AO3 as an IDB fanfic. I kinda feel like this idea deserves its own thread. But where? The main forum? @Ablissa were just testing whether the chat thing works right? so we might not even need to do a proper one and just go ahead and gather a group of people who wants to help test it out. maybe pick a couple random dnp videos and we can watch it tgt. unless you guys are fine with it being a proper watch fest, then im in. Yeah, I think we should just test things tomorrow if there will be interest in helping out. Then we can settle on things for our PINOF marathon and start advertising it from next week! Two weeks should be enough time to gain some interest from the phandom. Here is what I propose: those that can help, please be here tomorrow at 7 PM UTC. I will post links in this thread ahead of time, we will test all three platforms and see how it goes? henlo i have decided to enter the watch parties, my dudes. i was completely gone, sorry, i didn't help, i would have loved to help! but i'm here for the test thingy, i can at least do that! I propose we watch some light videos today. I love the mukbang, but I know it affected some people deeply so let's go with something more chill. I was thinking some gaming vids, like Google Feud, Who Wants to be a Millionaire, etc? What do you think? We're starting in like 5 minutes! I can't seem to get rabb.it to work at all - I just get a black screen. ...will try and catch you up when you reach watch2gether and together tube!